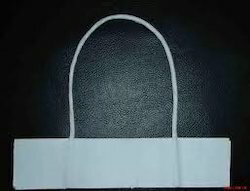 We are providing paper twisted rope handle used in paper bags. We have stocks in white and kraft. Other colors can be made on orders. We have been listed amongst the most preferred companies involved in engaged in providing Shipping Rope in the market. All our products are available in the market in bulk in various sizes. 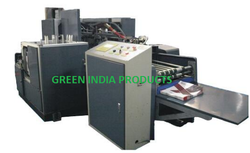 We are offering these products to customers in bulk at reasonable rates. The offered products are easy to use. Bruded rope of either nylon or cotton fixed on carry bags through rivetted holes.Recommended for carry bags for products with premium price tags. Adds beauty to the bag. Made from pink twisted paper rope with white strip below. Used for brown and white Kraft paper bags.